IT’s early days but Sydney lawyer Paul Fordyce is planning to launch a restructured insolvency conference format that he thinks could blow rival events out of the water. The fact that he intends staging his conference in Hawaii won’t detract from its allure. Over a coffee this week Fordyce explained how the three-day event would canvass topics in a way radically different to the usual approach which is to run days full of lengthy presentations which he says force speakers to pad out their speeches with unnecessary material. Under the Fordyce format speakers will address key topics as if they were presenting a TED Talk. Instead of one speaker having to fill an hour on cross-border insolvency law for example, three would be allocated 20 minutes. The PMF Legal principal said he’s negotiating with an eclectic range of potential keynote speakers including Czech economist Tomas Sedlacek who authored the Economics of Good and Evil, Robert J Faris, the Hawaiian District Bankruptcy Judge and Charles Booth, Professor of Law at the University of Hawaii and an expert in Asia-Pacific insolvency law. To give conference goers a taste of the human cost of their trade, Fordyce is also negotiating with Cate Stuart of the Stuart family, multi-generational graziers and farmers who were evicted from the Mount Morris Station by Rabobank in 2014. Mount Morris is a prime 20,000-hectare agricultural holding near Charleville, 700km west of Brisbane, the repossession of which was handled by Ferrier Hodgson. The Stuart family’s eviction was widely publicised as an example of all that is wrong with the relationship between banks and farmers. Given the conference is nominally pencilled in for November 2016, Fordyce will no doubt make further announcements about speakers and the all important venue in the months to come. He has three locations in mind, Honolulu’s Sheraton among them and is keen to promote the convenience of Hawaii to Australian insolvency practitioners, particularly during November when off-peak airfares will offset an unfortunate exchange rate, assuming the current disparity persists for 12 months. If Hawaii alone isn’t sufficient to attract the beach-loving class of insolvency partitioner, there is always the opportunity to be immortalised on television as an extra in Hawaii Five-O which Fordyce said is regularly filmed on Honolulu’s streets. Alternatively, guests could head to the north shore of the island of Oahu to watch the world’s best surfers tackle some of the world’s best waves during the Vans Triple Crown of Surfing, which in 2016 will kick off on November 12. Got a SiNful tale to tell? 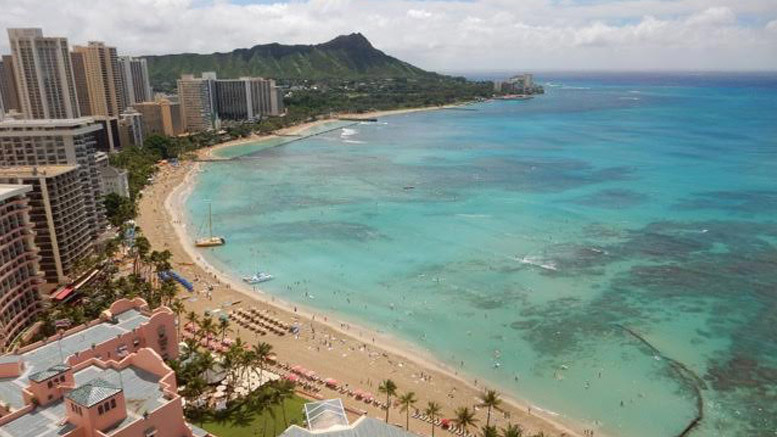 Be the first to comment on "Hawaii – attend a conference, obtain a tan"